Stingray Chevrolet Is Here To Help, No Matter What Your Credit Situation. Credit challenges happen and we understand. With over 8 years of experience, our finance experts are the best at what they do and will do everything in their power to help you buy a car. By working with over 50 different banks and lenders, Stingray can offer our customers the most competitive interest rates and loan terms available. 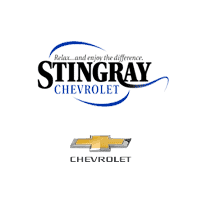 Stingray Chevrolet wants to help you overcome bad credit by getting you into a reliable vehicle! Stingray can offer financial assistance even if you have no money to put down. We can help first-time car buyers with no credit, too! Submit an application by CLICKING HERE and we will personally review it and provide our expert advice on getting you the best auto loan available.